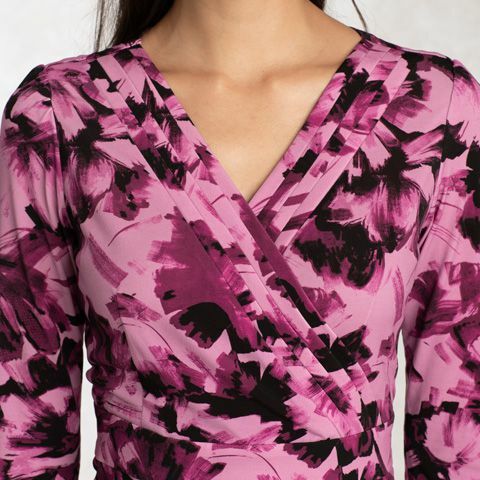 Our new side drape dress with figure-flattering tucks and three-quarter sleeves is available in our original pink floral print. Specialist Japanese sewing techniques create this charming dress. Effortlessly create a stunning hourglass shape with a shaped waistline. The cache-coeur bust is a great match for any occasion.